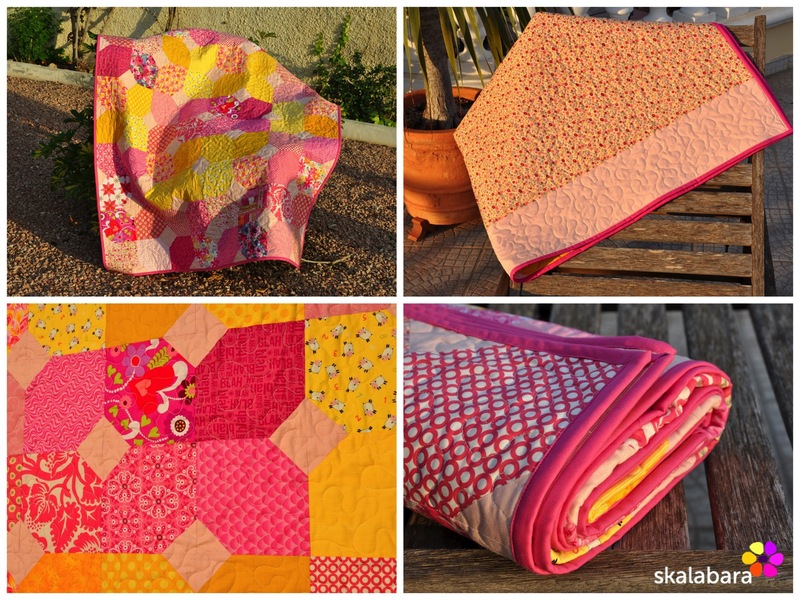 When Joan asked me to a make baby quilt, I remembered the Citrus and Mint Baby Quilt. So I got out my pink fabrics and started. 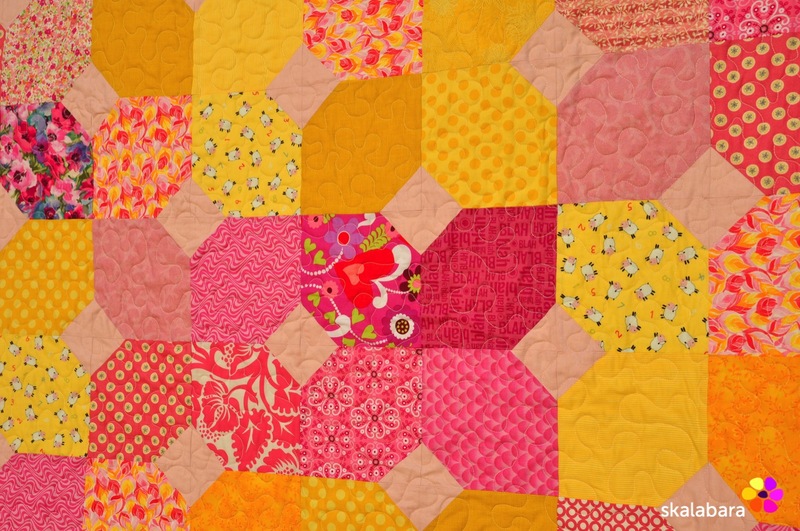 When I made the first layout just with the pinks I thought it would be nice to get in also a touch of yellow. The quilt I made is larger than in the Craftbuds post. I have altogether 80 blocks instead of 42. The quilt is approx. a cot size. I have worked with the same cutting directions : 6,5″ squares as well as 2,5″ squares for the corners, but I used double of the material. 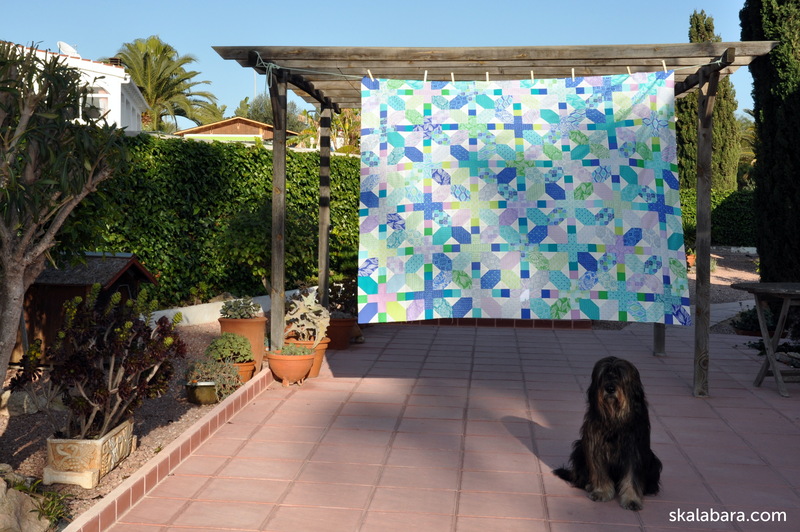 I decided to quilt it in free-motion with meanders as I do not want to get out of practice. Binding is in a light fuchsia shade. 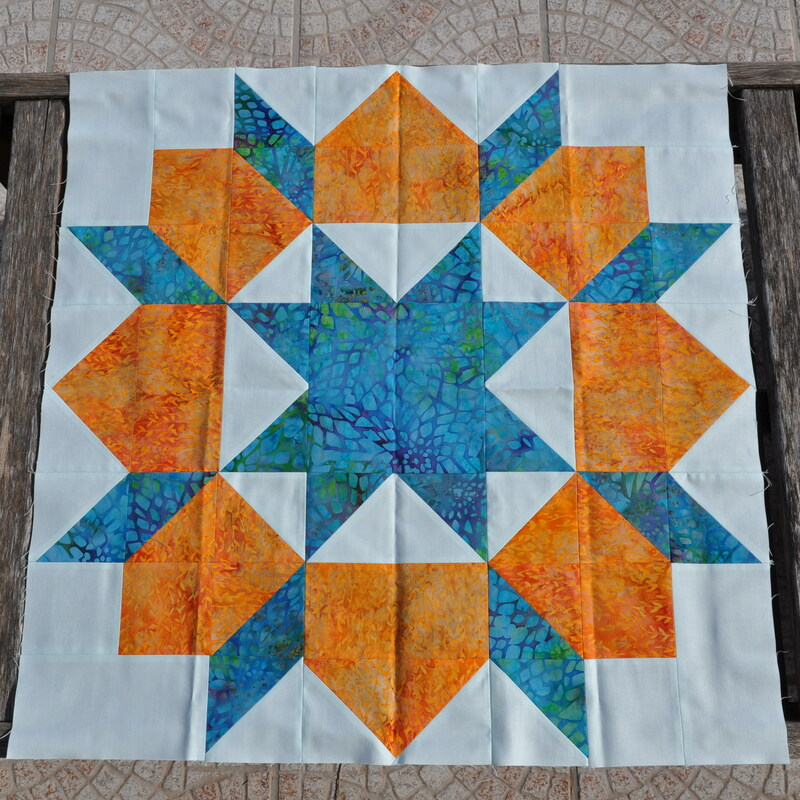 My last post was in 2014, but this doesn’t mean that I had a quilting free time. 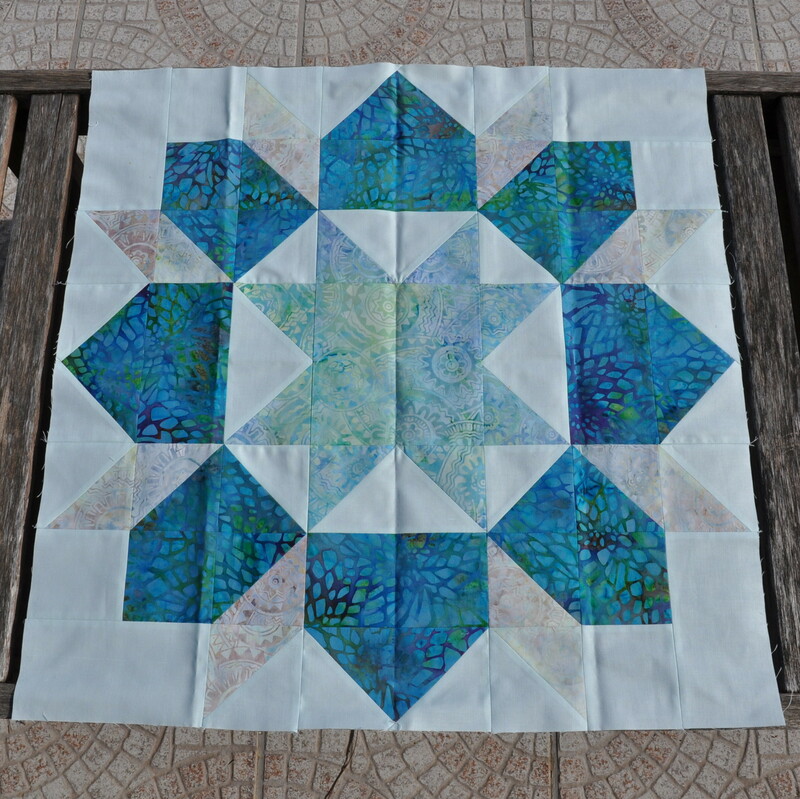 I have finished the Horizon top and it is ready for quilting. So this will be my project of the next few weeks. I haven’t decided yet how to quilt it, but it will be straight lines with the walking foot. 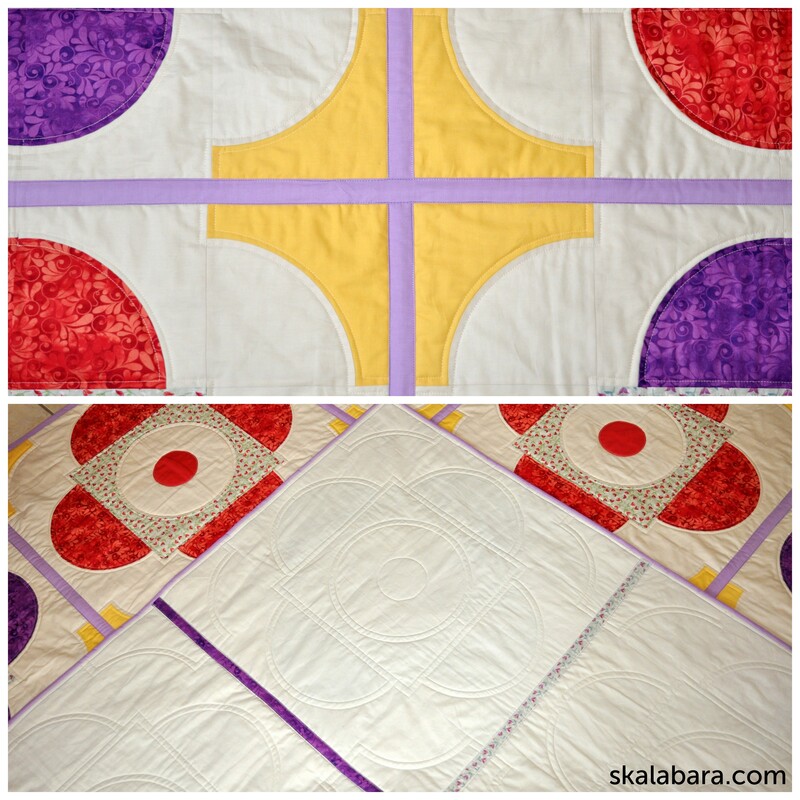 My first finish in 2015 is a Drunkard’s Path Quilt #2 for Joan. Once more the Wedding Ring or Love Ring block design. I like how the colors came out – I specially like the combination of rich yellow and soft purple. 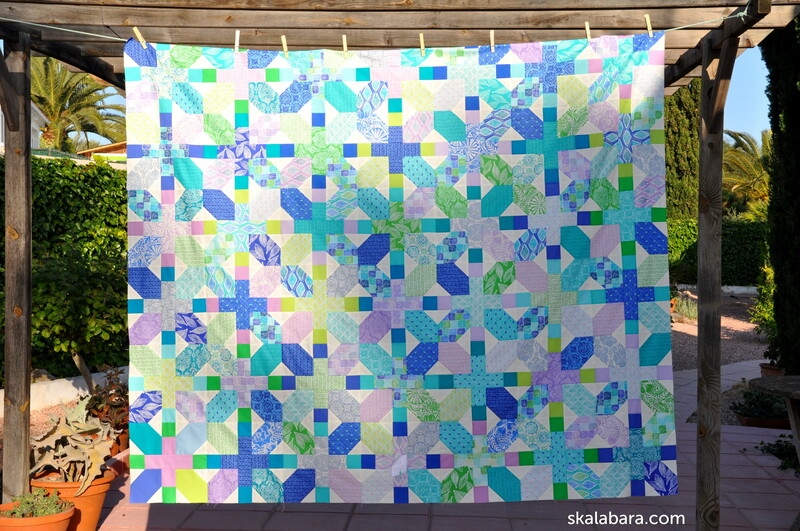 Another quilt in QAYG technique. 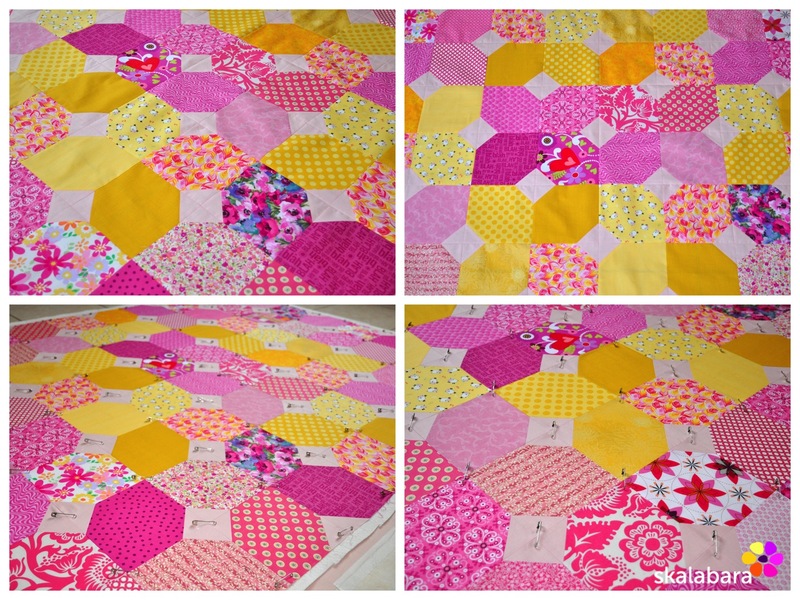 I have quilted all nine blocks separately and joined them together with home-made bias strips. 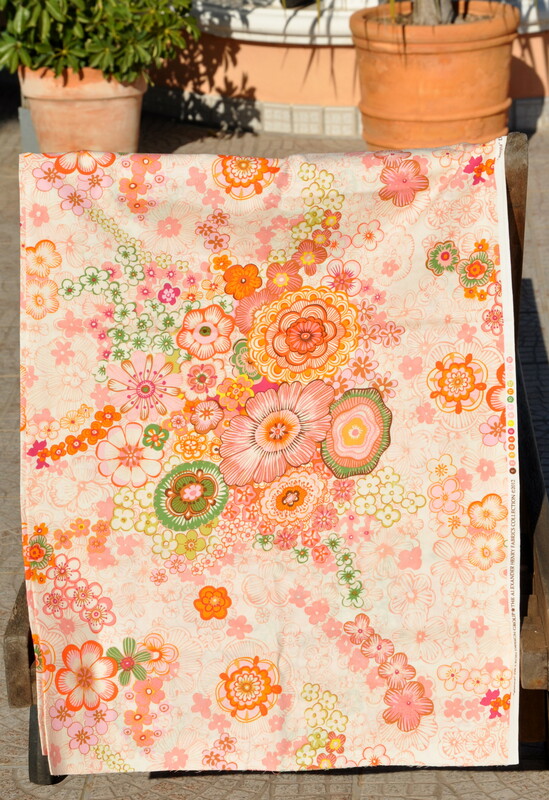 My next new project will be some pillow covers – I need to make something smaller!! 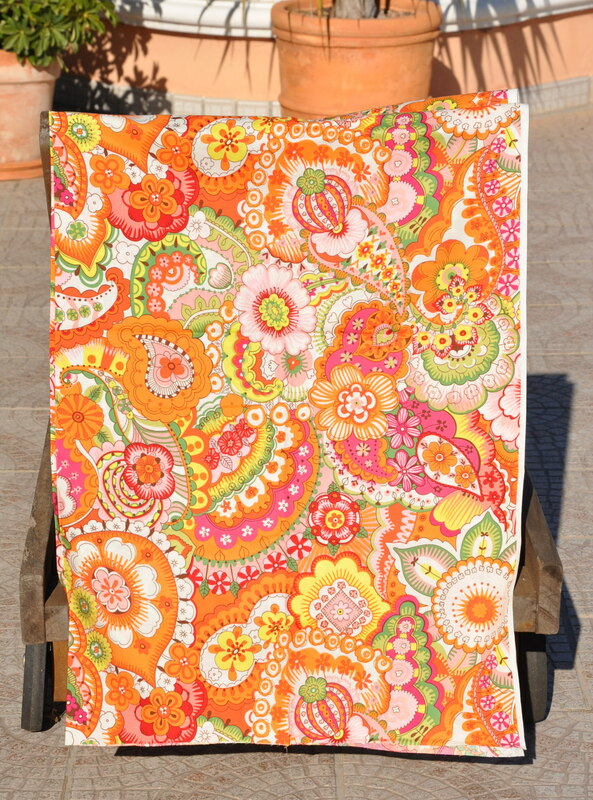 I have set my eye on a charm pack from Moda Fabrics Persimmon. The color range is very soft, not exactly my normal choice. But why not try something else!? 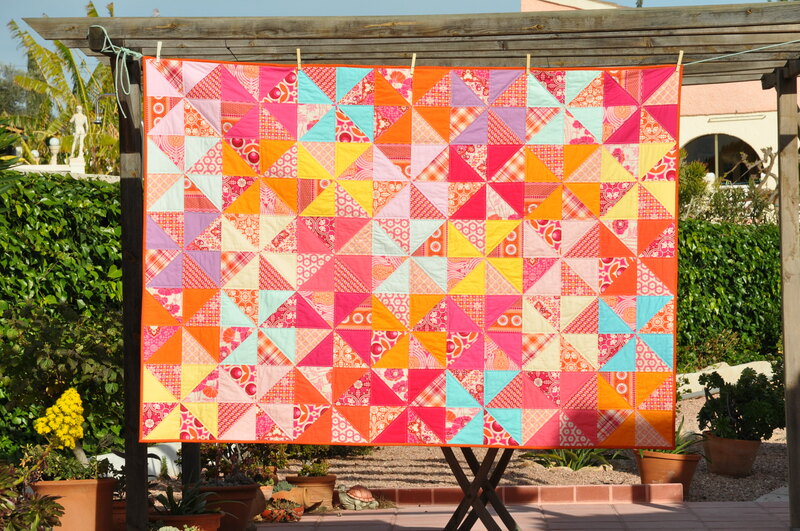 My first “big” quilt of 2013 is finished. 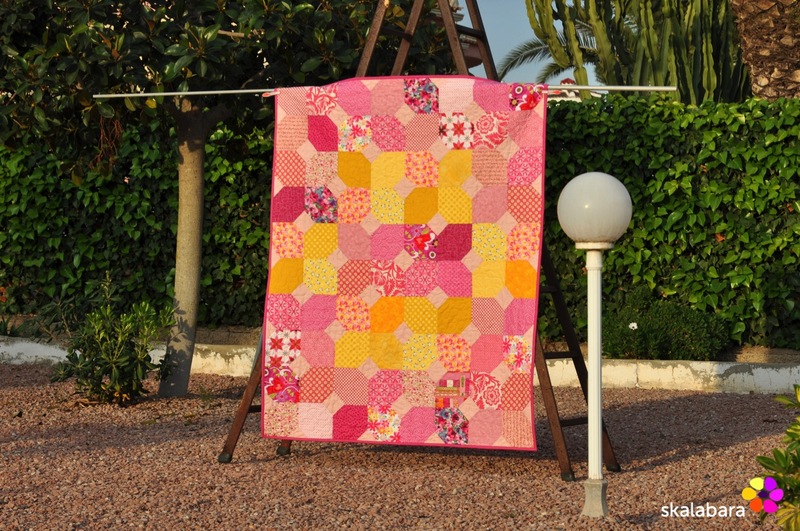 It is a custom order from a client in Germany that liked my original Lollipop quilt, but wanted it wee bit larger and in orange/purple hues. 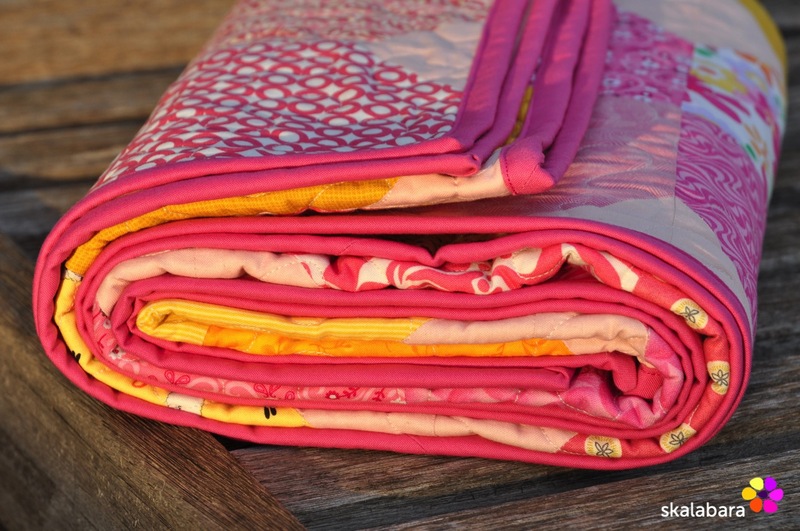 I have suggested to use fabrics from the Notting Hill collection by Joel Dewberry in magenta. Wonderful fabrics and the colors are just fantastic. 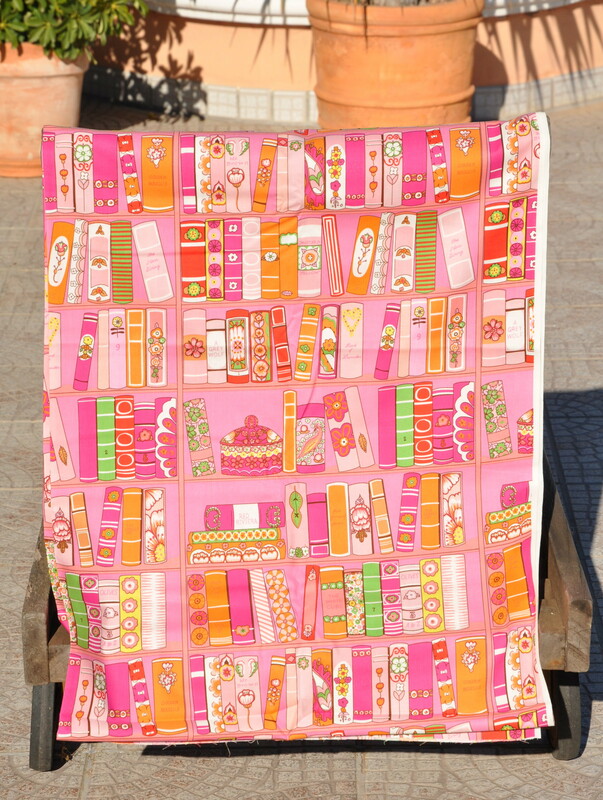 Size : 153 x 213 cm / 60″ x 94″. 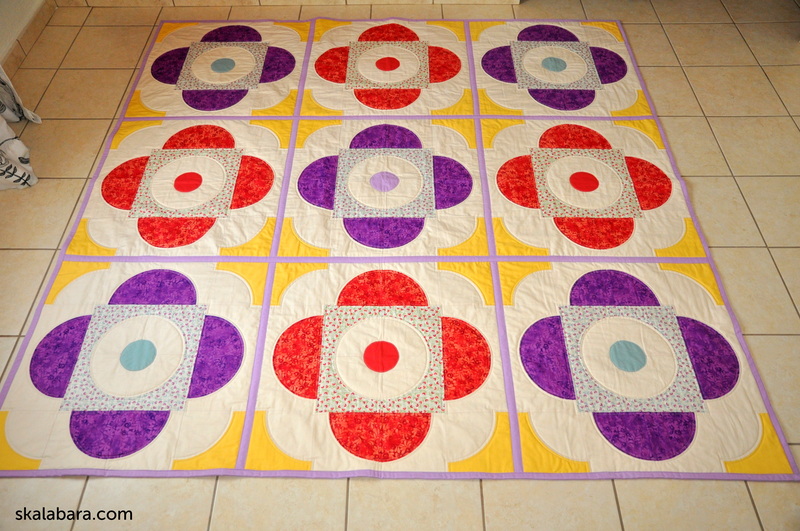 This time it was straight line quilting in horizontal, vertical and diagonal directions using the walking foot. 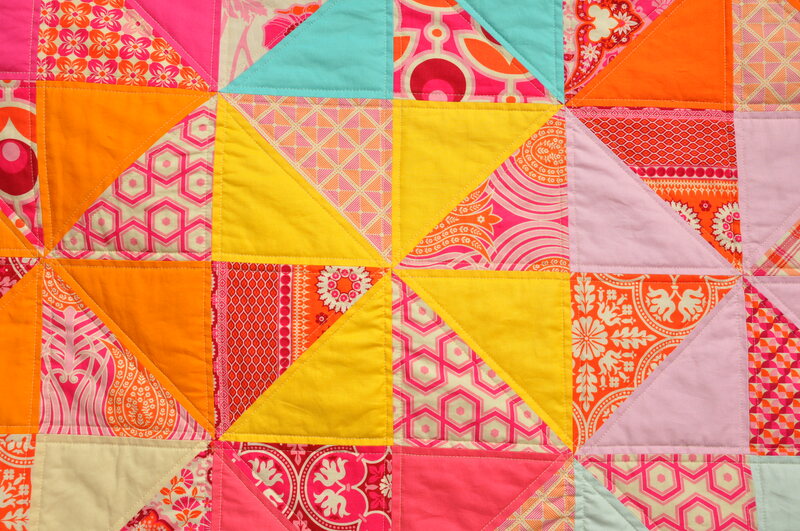 A nice to change to free-motion quilting. 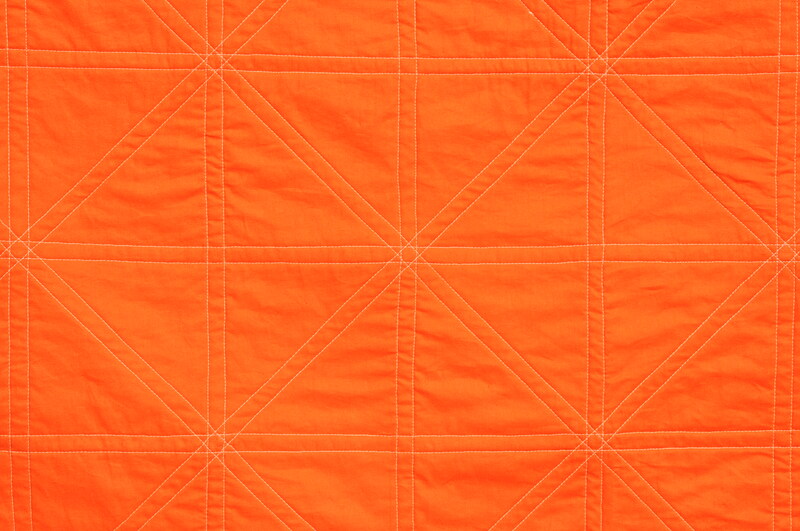 The backing and binding are finished using in the same orange fabric. 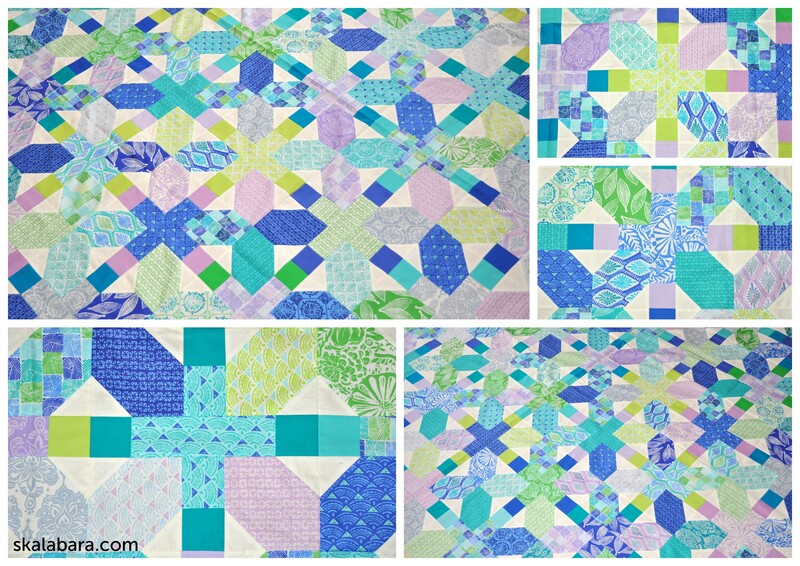 I have made 2 blocks from the Swoon pattern. They will make a cushion cover for my Mum. 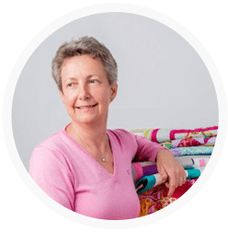 Looking forward to the weekend – lots of time to sit at the sewing machine ! First stash in 2013 has arrived : 2 thick envelopes came from Hawthorne Threads. I have ordered the fabrics way back in December and I am so happy that they are finally here. 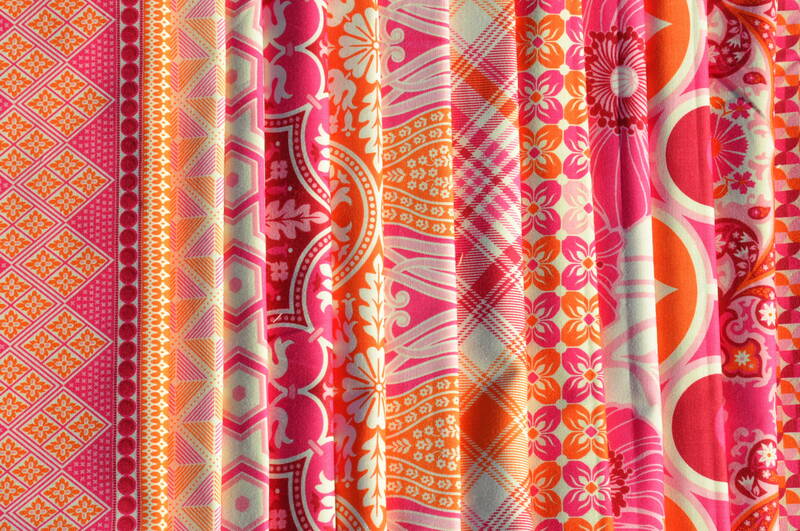 Take a look on the wonderful colors and designs from Alexander Henry Fabrics Collection (somerville study, sloane and sienna) – these fabrics are just the right ones for quilt backings. As soon as I saw the “somerville study” with all the books in the shelves I just could not resist. And the last photo shows the Notting Hill Collection in magenta designed by Joel Dewberry and has a total of 12 different fabrics. Once more the colors and designs are so fresh and bright. This stash is for a custom quilt and I shall start working on it right away! !